I never owned a Game Boy. I seem to remember playing on them a lot, but can't really remember whose they were. So thanks, Super Smash Land. Thanks a lot for reminding me of my terminal uncoolness as a youth! 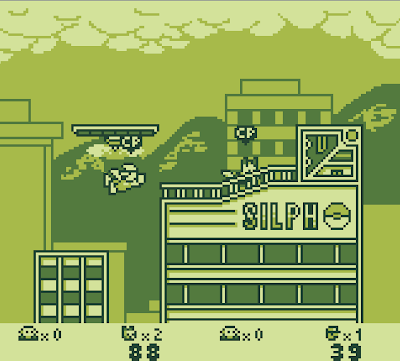 Super Smash Land is a demake of the Super Smash Bros. series of fighting games, taking the crux of the series' gameplay and giving it a Nintendo Game Boy make-under. 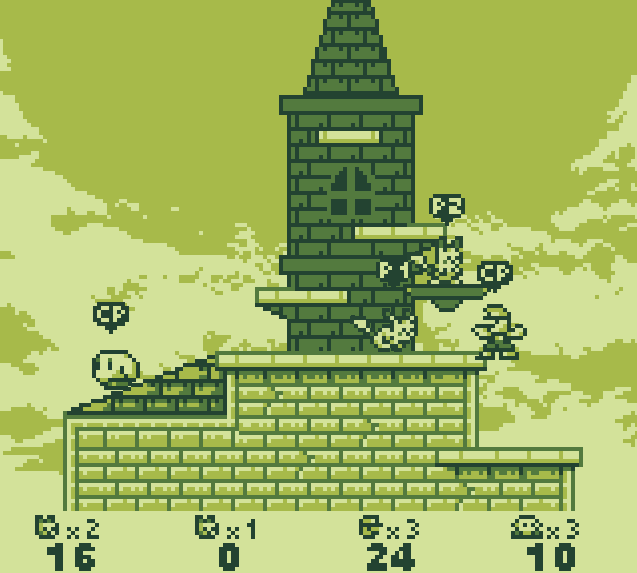 The key elements of the series are still there; the multiple characters, the frenetic multiplayer modes, Kirby being awesome, unlockable content and Kirby being awesome some more, but all viewed through a filter of nostalgic Nintendovision and played with a simple Game Boyish 'A, B, Start, Select, up, down, left, right' control set. The SSB games have consistently been ridiculously fun, so any indie take on them needs to get its shoulder to the wheel and crank out the entertainment. Super Smash Land does this with gusto. I'm making substantially less noise typing this review than I did on my Z-and-X bashing runs through Smash Land, and I'm an obnoxiously loud typist. Indeed, I hammered those two attack and jump buttons so severely half way through my eye strain-inducing first play I had to change them to C and V or risk being unable to get involved in future internet fights over The X-Files or Zool. 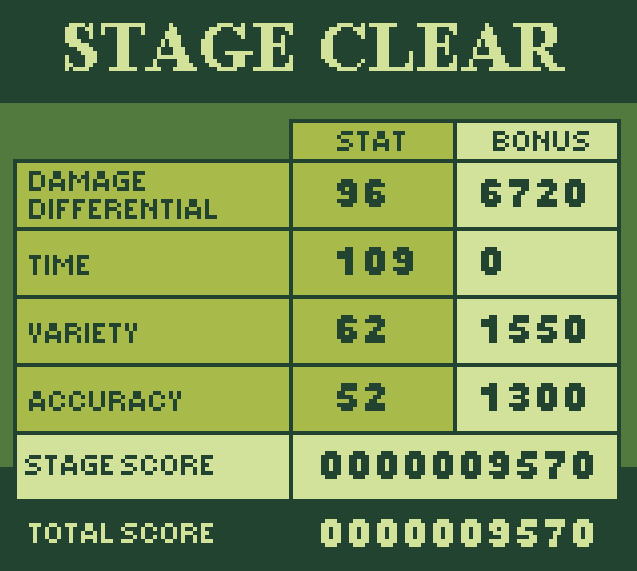 Elsewhere the graphics glitched out on me exactly once, and the single time it crashed for me was when I entered a cheat code, thus proving that Game Maker, for all its reported faults, clearly has a moral centre. The graphics are well done and characterful, with Kirby and Pikachu (admittedly probably the easiest of the cast to draw) being especially pleasing to the eye. 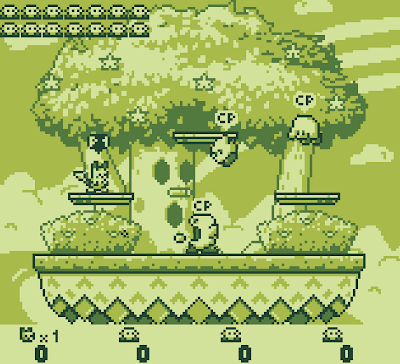 Producing a Game Boy styled PC game, rather than producing a new Game Boy game for PC emulation, probably gave the developer Dan Fornace a wider remit in regards to graphics and mechanics, and the inclusion of four player simultaneous gameplay is nothing to be sniffed at, and software to convert joystick input to keyboard input is bundled with the game to avoid the obvious awkwardness of four people using the same keyboard! With entertaining gameplay and a range of perilous levels to smash your computer or real-life opponents around Super Smash Land is a great demake of, and homage to its spiritual ancestors, complete with online rankings and the inevitable debate over which characters are top-tier. It screams out to be ported over to a handheld system, but playing it on a desktop is still a satisfying lark. Ending the review on a bit of a bum note, Nintendo does have a history of litigating against fan-made games that make use of its intellectual property. My advice would be to get it while it's still available, just in case they do put out a cease and desist order. Download the game here (from the Super Smash Land website). (It also runs on Macs using Wine, and a dedicated Mac version may be on the cards in the future). Excellent game! I love the graphics and the gameplay of it, though I own Super Smash Bros. Brawl and have played an online version of the game (top-class, by the way), this still pleased me greatly!